He looks like a gringo to me. La Ceiba's Fashion Fabi had some blog troubles and somehow lost all of her photos. Yikes! I would die. I love this girl and always want to hear more about what she is doing....hint, hint, hint, Fabi. Move to a tropical paradise! among the friendly English-speaking natives. 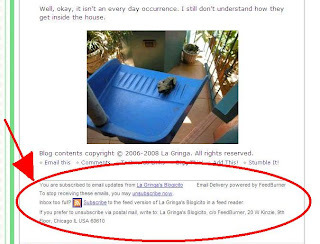 One of the reasons that I started writing so much about Honduras and its culture in my blog is that I was APPALLED at the information I found on the internet, especially on the real estate sites. I actually laughed out loud while reading some of those fairy tales. They make it sound like someone from the government will greet you at the plane with a smile and a residency card. I thought it was really unfair to tell potential expatriate buyers about this blissful paradise .... and not mention so many of the pitfalls and potholes that expatriates stumble into. Some people are never going to make it in Honduras or probably anywhere in Central America. The adjustments will just be too many, too distasteful, too uncomfortable, too scary. It is often said that somewhere around 50% of expatriates end up leaving Central America and going back to their own country. There are no statistics to back that up but it is often repeated. I'm not trying to imply that I'm better or stronger or more adaptable by any means. We all have our needs and wants, and can adjust in some areas, while other areas are like hitting a brick wall for us. But you might not even know what your brick wall is unless you do a test run. For me the hardest part has to do with the lack of trust, the poverty, the unjustness of the class society, the mistreatment of Hondurans by other Hondurans, and the crime. Most of those are mental rather than physical adjustments and I'd be a lot better off if I just didn't think about them so much and stopped reading the newspaper. Other expats will come here and may not have near the "mental adjustments" that I did. I do believe, though, that those are the people who are more knowledgeable about what they will find in Honduras and they are probably people who have spent a lot of time here before moving. Thinking that you will live a N. American lifestyle only with a slower pace and a lower cost of living is not realistic unless you have a real ton of money to insulate you from everyday life, not just a comfortable pension. Otherwise you'll be going to the grocery store, dealing with the bank, running out of water, wondering when the electricity will come back, worrying about crime, and all other things, just like the rest of us living in Honduras do. People have a better chance of adjusting if they have at least a basic knowledge of what it is really like to live here. Doesn't that make sense? If you know what to expect, you have a better idea if that is something you CAN adapt to. I don't have an agenda. I don't try to encourage or discourage people from moving to Honduras. I just try to answer questions based on my knowledge and experience. I just wish that I had known someone like me before I moved. I came here with my rose-colored glasses on, thinking that I would have no problems because I wasn't one of "those Americans" who think they are superior to Hispanics, or who have to have all the latest gadgets or keep up with the Joneses. Even though readers may get a different idea, I'm "plain people" and don't need a lot of material things to make me happy. I'll give El Jefe credit for trying to tell me what the life was like here. Actually, now that I think about it, he was my La Gringa and I didn't listen. ;-D I still would have come because I couldn't imagine life without him but I would have been better prepared if I had just listened! Such enthusiasm made me smile!!!! Chloe was giving her "Intruder! and this time I'm NOT kidding" warning in the front yard. I rushed out to check since it sounded similar to her snake warning bark. 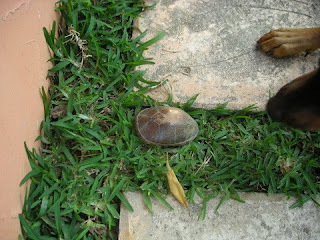 This is what I found: A turtle packed tightly away in his shell while one Rottweiler/Doberman and five Chihuahuas went nuts over this new invasion. I'm sure there are turtles down by the creek but I'm not sure how this one came to be in our garden. I don't think that he would fit under the gates, but that must be how he got in, unless turtles can climb a two-foot or higher concrete wall. 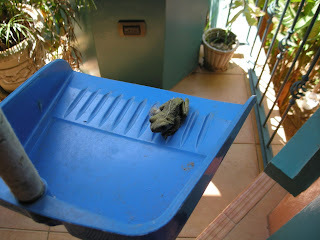 I put him back by the compost for the time being but I think that we need to take him down to the creek. I'd love to see a turtle walking around the garden but I think the dogs would never leave him alone. I had an interesting couple of hours today. You see, I am a very important person in my neighborhood patronato (homeowners' association). You might not have know that. Or, on the other hand, maybe I'm just the token gringa. Since I am a former certified public accountant, I originally volunteered to be the treasurer. (BTW, 'former' not because I got kicked out or anything; I just had no reason to renew my license.) However, based on my education, audit experience, and 5 years of being jack-of-all-trades in my neighborhood group in Dallas, which El Jefe just had to tell them about, they decided that they needed me as Fiscal. I was a little confused and wasn't even sure what I was elected for if you want to know the truth. ;-) Really! Yes, I was there, but I had to ask El Jefe after the meeting was over. Get more than two people shouting in Spanish across a room and I'm completely lost. It all runs together. I'm much better one on one. A fiscal, as I know it, is a prosecutor, a district attorney. I asked El Jefe if I was going to get to arrest people, because I had a few inconsiderate neighbors in mind . ;-) I kind of thought that they were counting on me to supervise or audit the books, but no one ever said anything or asked me to do anything, so, in my laid-back Honduran style, that's exactly what I did: Nothing. Finally, after about five months, the treasurer sent the books home with El Jefe from a meeting which I did not attend. Hmmm. I really meant to look at them but I was busy with a sewing project. By the time I looked for them, I discovered that El Jefe had returned the documents to the Treasurer. I wonder if he assured him that everything was fine. Then a couple of months later, the books came back to me again. This time I was going to look at them, but remember how sick I was? I put them aside and then, of course, forgot all about them. Yikes, have I got the laid back, irresponsible thing down pat or what? El Jefe grabbed them up one day to return them (yes, ouch! they had been asked for). I said, "No! No! I'm going to look at them. I'll start tomorrow. I promise." I didn't want to be fired from my volunteer job. So I took a quick run through, checking for receipts, making sure that the neighbor payments added up. It wasn't too bad. A few little mistakes. But down deep inside, I knew that the manner in which the treasurer was reporting things was not very good. First of all, there was no easy way to tell whether any neighbor had paid for every month. Second, there was no accrual for prestaciones, 13th month, 14month, all those benefits that our two employees are entitled to and that our association will be required to pay sooner or later. I set up a schedule....well, I won't go into all the boring accounting details, but just by reformatting and combining all his monthly reports, I found that we have a bunch of deadbeats in our neighborhood. About half of the people owe at least one month and the worst example was a member of our junta directiva (board member) who has never paid one centavo! I'm getting that guy kicked off the board if it is the last thing I do. So, once I started digging a little deeper, I started finding mistakes. Uh oh. Now, I don't think this guy was doing anything shady − though I've heard two stories about patronato treasurers suddenly buying big new SUVs.... but these were relatively small mistakes. Maybe a tank of gas here and there at best. With the help of a labor law website, I calculated an estimate of our employees' earned benefits and wow! It's shocking. With that one accrual, I knocked down our available funds from L.37,000 to about L20,000. That probably won't make me too popular but it needed to be done. 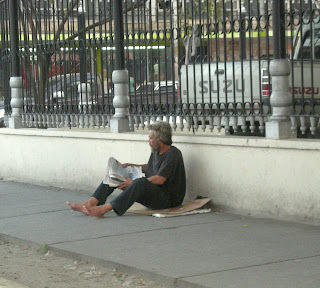 It was getting toward the time that the treasurer starts collecting for the next month and he wanted his papers back. I asked El Jefe to drop off my brilliant schedule which I was sure the treasurer would just swoon over and to ask him when we could get together. El Jefe gave him the schedule and started to explain that I had some ideas to help him. (He needs help. He's been doing a lot of complaining.) The treasurer looked at it and immediately started saying that his way works fine and he doesn't want to change, blah, blah, blah. Would you believe that his way doesn't even include alphabetizing the names of neighbors on the various lists and schedules that he writes by hand at least three times every month! El Jefe said he got a little huffy and said that he only agreed to take the job for three months and that if I want to do it that's just fine with him. Ooooh! I saw that I had a challenge in front of me. I thought about calling our President just to see exactly what my job is supposed to be, but I decided I could handle it. El Jefe said, "You know that you cannot tell a Honduran that he made a mistake. He won't like it. Just be prepared to take over his job if he quits." El Jefe was not happy as I had already asked him to hang around to translate because this guy refuses to understand a word that I say. Before a meeting not too long ago, he and I were the first ones there. I tried to chat a little, saying things like "¿Nadie está todavía?" (Nobody is here yet?) and "Estoy poquito infirma." after a coughing fit (I'm a little sick). I might as well have been speaking Chinese. 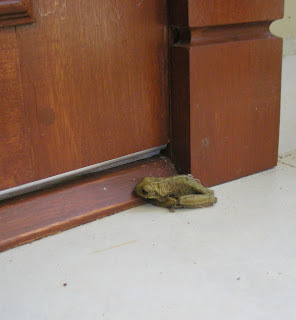 Well, he came over today. La Gringa was up to the challenge! I started out by telling him that I had his job in my old neighborhood for more than 5 years and by the time I left, I really hated my neighbors. There is nothing worse than collecting money from neighbors. He laughed at that as he's had some bad experiences with neighbors who, for example, don't pay for February until March and then virtually accuse him of stealing because their payment didn't show up on the February report. By the time he left − after about two hours of me asking minute questions and pointing out error after error − he was laughing, smiling, patting me on the back, and correcting my pronunciation when needed because all of a sudden he could understand me. Not only all of that, but because of the type of errors that were made, he has whole heartedly agreed that my schedules will be very helpful to him. He was just so darned grateful for my help. Oh, he also liked my idea of exposing the deadbeats. He snickered about that. Ah, victory! It's sweet. I haven't lost my touch yet. It was fun. The FDA finally issued an updated report on their investigation at the Honduran Montelibano melon site. The report indicates that the final results will be issued soon but that there may be 'systemic' problems at Montelibano which contributed to the outbreak. "April 18, 2008: The U.S. Food and Drug Administration expects to shortly complete its investigation of the Honduran cantaloupe grower and packer, Agropecuaria Montelibano. The FDA is working expeditiously to review documents and analyze data related to the investigation. On March 21, the FDA issued an import alert on Agropecuaria Montelibano after epidemiological and trace-back investigations linked cantaloupes from that company to a salmonellosis outbreak in the United States, with 51 illnesses confirmed in 16 states. A multidisciplinary team, which consisted of experts from both the FDA and the Centers for Disease Control and Prevention, recently completed an on-site evaluation of Agropecuaria Montelibano in Honduras. The team worked with Honduran government officials to evaluate the company's melon growing fields and packing facilities. Preliminary information from the investigation team reveals that there might be systemic problems at Agropecuaria Montelibano that could have contributed to the outbreak. FDA's investigation process is very thorough. 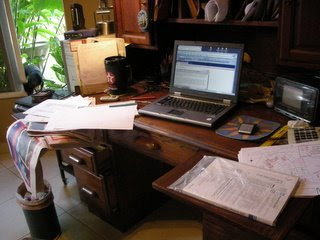 It includes the on-site visit to the firm in Honduras, the analysis of laboratory samples, and a review of the firm's documentation of policies and procedures. Next steps could include an on-site verification of the implementation of corrective actions by the firm. Agropecuaria Montelibano's product will continue to be refused at the United States borders until the FDA's lifts the import alert. 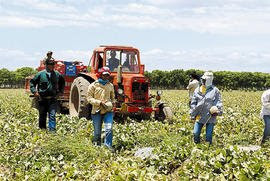 For the FDA to remove Agropecuaria Montelibano from the import alert, the FDA needs to verify that the firm has taken the corrective measures necessary to ensure that it is growing, processing and transporting cantaloupes in a way that does not cause the melons to be adulterated, that its product meets U.S. standards for food safety, and that specifically its cantaloupes do not contain Salmonella." I heard a rumor (I won't say from who, because I'm not sure that he was supposed to repeat it) that Montelibano uses a fertilizer made from chicken manure that wasn't processed/composted properly before applying to the soil. I really hated hearing that as I think that too many chemical fertilizers and pesticides are used in Honduras. Something like this could cause many growers to quit using organic fertilizers out of fear that their products, too, could be black listed. What a shame! I don't know what the FDA means by 'systemic.' Do they mean systemic in the biological sense that the salmonella is being absorbed through the soil, or systemic in the sense that Montelibano's system of handling the cantaloupes is at fault? Hmmm. Stay tuned. La Prensa reported on it today here (in Spanish). Honduran time - When is late too late? Cubamericana left a comment on the last Carnaval article that brought up so many thoughts for me. First, regarding the carnival: If it is for Hondurans and Hondurans don't mind the disorganization and lack of information, that's fine. But the fact is, it is supposed to be the biggest tourist event in Central America and you just can't run a tourist event like that and expect to get the quantity and quality (as in money-spending) tourists that way. Cubamericana mentioned soccer games that have no schedule and a one hour warning of game times. We've had a similar situation with our neighborhood patronato (association). The people in charge announce the neighborhood meetings sometimes the day of or the night before the meeting by placing a sign at the entrance. Those who don't happen to drive in during that period would never know about the meeting. People may not get home from work until 5 p.m., 6 p.m., or even after the meeting already started. Personally, if I was getting home from work, tired and hungry, and found out there was a meeting in 5 minutes, I wouldn't go either. Then when the turnout is poor − as it always is − those in charge lament the fact that only the same 7 or 8 people show up. Every time it's mentioned, I suggest that perhaps if we gave a little more notice or sent around a flyer a week beforehand, we might get better attendance. My suggestion is dismissed with "If people care, they will make time." I don't agree. I imagine that a lot of people care, but consider the lack of notice as a lack of respect for their time. I thought that might be a cultural difference on my part, but El Jefe told me that he feels the same way. Even the meetings of the junta directiva (board members) are announced with a phone call sometimes only two hours before the meeting and never even with a day's notice. Generally, only five or six of the 10 or 12 board members show up. Of course, I'm ALWAYS the first to arrive, including the time that my front gate lock was jammed and I couldn't even get out of my yard for 20 minutes and it took another 10 minutes to walk over there! Invariably, one or more persons will arrive an hour or two late and want a recap of everything that has been discussed and even want to argue the same points that have already been argued. That gets very tedious for those who are there when the meeting starts. This has been going on for about 6 months. Hey, if something isn't working, try something new! Actually, I know that I'm right about giving prior notice because some of us tried to start a patronato a couple of years ago and had attendance of 30-40 people at each meeting − I think it was because we delivered flyers to each house, usually a week beforehand with another reminder the day before the meeting. However, the lack of responsibility of the volunteers caused us to finally give up. When a meeting is scheduled around three speakers' findings and only one shows up without absolutely any warning from the other two, it really gets disheartening. Cubamericana also said that everyone in her husband's Honduran family missed their wedding, arriving during the reception. How sad when lack of consideration for time hits that level. I've seen this at weddings, even weddings that were delayed for two or more hours, as they usually are. But then, the interesting thing is I've also heard the complaints when the bride's family was an hour or two late serving the food! And, boy, I'll tell you, I've been chastised a lot more than you might think for being late (10-30 minutes) for appointments or things much less important than a wedding. It's really hard for a gringa to figure when it is customary to be late and when it's not. I told Cubamerica that she might get a laugh out of this article which includes a joke about confusing a Cuban with a Honduran. Reader Daniel, a Honduran from Tegucigalpa, agrees that Hondurans in general are disorganized, but says that Ceibeños are in a class by themselves and even annoy Hondurans from other parts of the country. Somehow that is comforting for me! I've adapted quite a bit to the laid back atmosphere. I can be late! But get much more late than 30-45 minutes and I'm really feeling guilty about it. Invariably, I end up calling the person I'm supposed to meet to let them know that I am coming and that I'm sorry. That is a call that I've never gotten from a Honduran. You might say that it works for them so what's the big deal? I'm just not sure that it does work for them. Except for those casual social situations, it does cause problems. It causes expense and inconvenience. It causes some to lose out on jobs or sales to someone else who is more responsible. In a meeting situation, sometimes there is no time to discuss all of the important points because the meeting was delayed to such an extent that those who arrived on time need to leave. It also gives the impression of disorganization which can cause others to lose faith in whatever the organization is trying to do. Worst of all, it causes those who are reasonably timely to not be so the next time to avoid the endless wait for those people who are unreasonably late. I wonder if there is a Spanish version? That's all I have today. Today was a day for (trying to) clear out the inbox and respond to comments. Yikes! There just aren't enough hours in the day. Can't get enough? -- Subscribe! Get La Gringa's Blogicito delivered to your inbox every day with your morning coffee. Mmmm! Better for you than donuts. Don't forget to activate your subscription by clicking on the link in the verification email from emailenfuego.net. Delivery won't start until you do. You can also subscribe to comments on an individual article. Click the box on the comment page that says "Email follow-up comments to (your email address)." This is the best place to get the real lowdown about living in Honduras from people who live here. Don't forget to read the group's rules! This post was originally published in January 2007 and was updated in April 2008. While I enjoy hearing from people and I've made some good friends through these correspondences, I'm just going to have to say that I can no longer give that kind of advice. First, I'm not qualified to answer many of the questions. Some need to be asked of an attorney or three, and you will probably receive three different answers. The residency rules have changed since I moved here and can change almost daily, depending upon which government worker you are dealing with at the moment. Second, it is absolutely draining to me to try to answer the numerous, very detailed questions. I've always tried to help as much as I can, especially when I see that people are talking of things that are risky, either financially or safety-wise, or clearly have on their 'rose-colored glasses.' But it has just become too time-consuming and I don't want to be responsible for life-changing decisions that someone might make. 1. When reading about Honduras online, consider the source. Is it from a real estate agent, travel agent, tourism agency, or anyone else who has something to gain? Is it from a tourist who spent a week in a luxury hotel or a backpacker who enjoys roughing it? I'm so amazed at some of the misinformation that I read about Honduras that sometimes I just laugh out loud. 2. Always remember that the Bay Islands and the mainland are worlds apart. Information that applies to the Bay Islands may or may not be accurate for mainland Honduras. My experience is only with mainland Honduras. The Bay Islands may offer more of the comforts and conveniences that North Americans are used to, but the cost of living is much higher, too. 3. If you want to know what it is like, come here and rent a house or an apartment for 6 months or more to see if you really like it long term. Don't sell everything you own and move here after a week's vacation or even two or three vacations here. Day to day living in Honduras is a lot different than being on vacation. According to the attorney who handled my residency, half of the expatriates return to where they came from within 6 months to a year. 4. Learn Spanish before you come. Classes probably will be less expensive and more professional in your local community college. Online courses are available, too. Of course, once you are here, talking with native Spanish speakers will help to improve your Spanish and your accent, but without some basic Spanish abilities, learning by speaking will be very difficult. Don't believe those websites mentioned above that always say that English is widely spoken; it isn't on the mainland. 5. Be prepared for culture shock. It is real and it will happen to you. Accomplishing the most simple things in your daily life can be so stressful. It isn't like moving to another state with a lower cost of living. Finding out that you can't trust anyone, even people who you thought were friends, leaves a very empty spot in the pit of your stomach. Check out these cultural differences articles, 47 of them as of April 2008, and that's only scratching the surface. 6. Don't rely on what the Honduran Consulate offices in your country tell you about immigrating. They are wrong more often than right. Relying on bad information from the Houston Consulate cost us several thousand dollars and untold stress and worry. The newspapers are full of complaints by expatriate Honduran citizens about the bad service they receive from their own consulate. If they don't care about helping the Hondurans they are there to serve, think about how much they enjoy screwing up us gringos. 7. Don't even consider buying property until you have found a trustworthy attorney and checked his references. There are many crooked attorneys and fraudulent land transactions. People, both gringos and Hondurans, lose their money on bad land deals all the time, even those with experience. I personally know two Hondurans who were cheated out of their property by their own attorney and another by the government. Don't rely solely on the US Embassy list of Honduran attorneys as it is rumored that there are crooked/incompetent attorneys on that list, too. And don't ever consider building a house unless you will be here full time to supervise the work. 8. The government of Honduras wants immigrants who bring their money from other countries (US $2,500 per month for income residents or US $1,500 for retired residents) or who make investments here (US $50,000), not people looking for jobs. And even though they offer residencies to those with a proven, reliable outside income, it sometimes is extremely difficult and time consuming to obtain that residency. Most teachers, missionaries, and other volunteers that I know of come on a 3-month tourist visa and must leave the country every 3 months in order to renew their visa. Due to the time, expense, and red tape required to get a residency or special presence permit, it just isn't worth it for most people staying only one or two years. 9. To the best of my knowledge, most expatriate residents may not legally take jobs, except for certain explicitly defined jobs, such as teaching, government contractors, missionary or other charity work. Those married to Hondurans may be allowed to work, but non-citizens must obtain Honduran work permits or "green cards" like in many other countries. Tourists are not permitted to work. Coming to Honduras looking for work is like going to the Sahara to look for water. Even if you could legally find a job, salaries are generally 10-20% of what is paid in the U.S. An average salary for a middle-class worker is around U.S. $300-$400 per month, minimum wage is around $150 per month. 10. If you are planning to immigrate, don't buy your airline ticket, ship your belongings, import your car or pets, or buy a house until you are clear as to what the residency rules are! It could be a very expensive and stressful lesson for you. Okay, so where can you go to get the information you need? I wish I could give you an excellent overall source like this one: The Real Costa Rica, but there just isn't a website like this for Honduras. I do suggest that you read this site − so much of the information is very similar in Honduras. Just multiply the negative things by two and divide the good things in half and you'll have a better idea of life in Honduras. After all, there are many more Americans in Costa Rica, Mexico, and Panama than there are in Honduras. There are logical reasons for this. U.S. Embassy Consular Sheet for Honduras: Read this entirely. The dangers in Honduras are very real and anyone considering moving to Honduras should be aware of them. U.S. Embassy Regional Security: This page is a real eye opener. There are other topics on this US Embassy in Honduras site that will be of interest to you. US Embassy overview of the residency process: This site has some basic information about residencies. Unfortunately, the details of the requirements of the various types of residencies are in Spanish. Doing business in Honduras: A downloadable US government publication on doing business in Honduras is available by clicking on the link near the bottom of the page. US Library of Congress Country Study: A very detailed, but not currently updated history of Honduras. Honduras This Week Online: A weekly English-language newspaper. The site is not organized for research − for some reason they don't use permalinks and many of their page links don't work at all − but it is worth perusing. You can also sign up for a weekly summary email. Honduras media: If you read Spanish, check out the Honduran newspapers. If you don't read Spanish, try using the translation feature on the Google Toolbar for the articles in which you are interested. 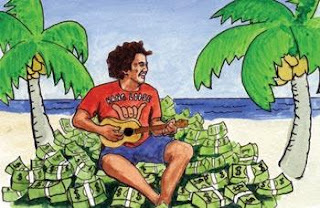 8 Rules for Investor Survival in Honduras: Scary to read, but the advice is so true. 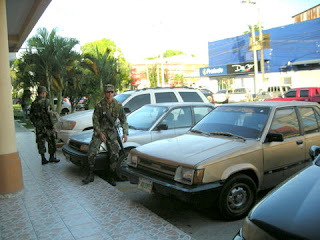 Blogs of Expatriates in Honduras: Check out Honduras-Blogs.com and the Honduran blogs that I read in my links section. Personally, I think there is no better way to get an understanding of what day-to-day life is like in a foreign country. 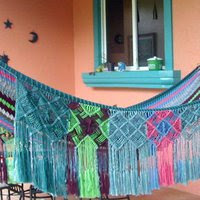 Honduras Living Yahoo Group: A discussion forum about moving to and living in Honduras in January 2007. This is a very good resource for people thinking about moving to Honduras and for those already here. You can join by clicking the link above or read more about the group here. As of July 2011, our group has more than 1,200 members and YOU can help us to make it bigger and better! I hope that helps you in your quest for information and if I find any other useful information, I'll include it in my blog. If you know of other informative sites, please let me know so that I can include those, too. A followup to this article: Do you disagree? Mmm. La Gringa's Blogicito, so good with the morning coffee! About 130 people have subscribe to the Blogicito's daily email updates. (Whoopee! I like that.) For those who don't know, FeedBurner offers a service where you can receive a daily (or almost daily) email containing the Blogicito's newest entry. The layout looks pretty much the way it does on the blog site, including the photos. It is a good way for readers to keep up without having to remember to visit the website every day. I signed up for the service myself when I first implemented it, just to be sure that it worked properly and that my subscribers weren't going to be spammed. It did work beautifully and there was no spam. It was 99.9% reliable until about a month or two ago. FeedBurner had some internal problems and some of the articles were not sent out and others were sent out with long delays. They have since corrected that problem, but now a new problem has developed. Starting a few weeks ago, Google email (Gmail) has been putting the FeedBurner Blogicito emails in the Spam Folder. Very strange, considering that Google owns FeedBurner! I've been in contact with FeedBurner and they hope to work out the problem with Google soon. By the way, FeedBurner's customer support is THE most excellent I have ever encountered for any free internet service. Responses come within hours or even minutes from a real live human being who has actually read your email and comprehended what your problem is! Unheard of from Gmail or Yahoo, that's for sure! Despite these recent problems, I highly recommend FeedBurner for blog authors. 2) Mark the email as "Not Spam", though this hasn't worked for me with Gmail. 3) Contact your email service provider to let them know that these emails aren't Spam. 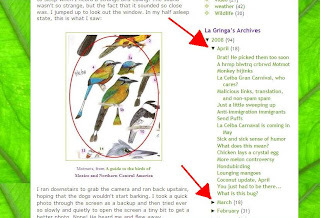 If you think that you may have missed some articles, an easy way to find out is to go to the Blogicito, page down a few times to get to "La Gringa's archives" in the right hand sidebar and open the April and March folders (one at a time). You'll see a drop down list of all of the articles. If you see one that you missed, just click the title and the article will open. Sorry if you have experienced any problems and hopefully the situation will be corrected soon. While I'm on the subject of the FeedBurner emails, I'll also mention that when subscribing (click the "Get the Blogicito by email" link in the right hand sidebar under "Subscribe to La Gringa"), you will receive a verification email from confirmations@emailenfuego.net. You have to click the link in the email in order to activate your subscription and begin receiving the emails. Over time, I've noticed several people who have subscribed, but never activated their subscription, probably due to the fact that they didn't recognize "emailenfuego" and deleted the confirmation message thinking it was spam. This is called a double opt-in method and is used to prevent spammers from using FeedBurner's services to spam a bunch of email addresses that they have entered without the person's permission. It is an extra step for you, but a good thing in the long run. If you decide that you no longer want to receive the Blogicito by email (boohoo! ), unsubscribing is simple. Just click on the "unsubscribe now" link at the bottom of the email and that is that. No more La Gringa's Blogicito in your inbox. Please don't mark it as spam as that can cause problems for other Blogicito readers. Just unsubscribe; it's quick and easy. The email also includes a link by which you can switch your subscription to a feedreader such as GoogleReader or Bloglines or your Yahoo or Google homepage, just to name a few. Would you let me know if you are a subscriber who has noticed my FeedBurner emails going into your spam folder and which mail system you use? 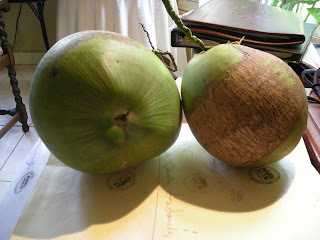 El Jefe, without my knowledge or consent, picked two of the coconuts that he thought were ready. Before he even opened them, I was lamenting, "Why, why, why? How do you know they are ready? I wanted real coconut to cook with!" Whine, whine, whine. I guess it was my fault because I still hadn't looked it up to find out how to judge when they are ready. Reader Patty told me that many Hondurans tend to like the coconut water in an unripe coconut more than the actual coconut meat. I later read that the liquid is sweeter and more plentiful when the coconuts are still green. Until Patty told me that, I didn't even know why some coconuts didn't have coconut meat inside. 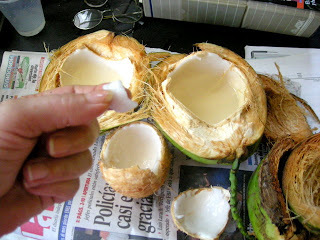 I mistakenly thought that there were different varieties, some valued for the liquid and others for the coconut meat. I was hoping that we had the right kind. I guess they are all the right kind; it is just a matter of how long you leave them to ripen. To show my complete ignorance on the subject of coconuts (Cocos in Spanish; botanical name Cocos nucifera), the only ones I'd remembered seeing were those small, hairy ones in the grocery stores that already had the outer shell removed. I thought that was how they grew on the palm! El Jefe was appropriately apologetic about the misjudgment. He said that he thought they were ready − meat and all. Of course, he got a straw and enjoyed the coconut milk much too much for me to completely believe that. Then he took a spoon and scooped out and ate the soft coconut from the inside of the shell. I tried it but it was too slimy for me and definitely not anything I could make macaroons out of. Coconut at this stage is known as water coconut, not to be confused with coconut water, which is the clear liquid inside − and coconut water should not be confused with coconut milk, coconut cream, or cream of coconut which are all entirely different things. Good explanations of the differences can be found at Kate's Global Kitchen. 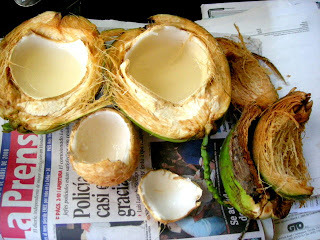 The texture of water coconut is somewhat like jelly or a soft boiled egg. Oh, well. I've forgiven him. We still have several coconuts to go. Maybe we'll share them 50-50 − I might go out right now and mark a big X on all the ones that I have dibs on! This experience did finally prod me into researching the harvesting of coconuts. I found out we have a long time to go before my coconuts are ready. I found that it takes a full year from flowering to harvesting a ripe coconut! The tall coconut palms (70-80 feet, 21-25 meters) produce after 7 to 8 years and can live for 60-80 years. Dwarf coconut palms (14-30 feet, 4-9 meters) like we have, begin to produce after only 3 years, but live only 30-40 years. Dwarf coconut palms are also resistant to the Lethal Yellowing disease which has devastated coconut palms in Honduras and many other countries. If this photo caption is correct, we need to wait until the outer shell is brown. Several sources state that you can just wait until the coconut falls to the ground. By my calculations, that is probably going to be about August or September. Forgive the mumbling above, please. I ran downstairs to grab the camera and ran back upstairs, hoping that the dogs wouldn't start barking. I took a quick photo through the screen as a backup and then tried ever so slowly and quietly to open the screen a tiny bit to get a better photo. Nope! He heard me and flew away. No amount of editing could do anything with it. You'll just have to take my word that this bird is marked with brilliant, almost fluorescent turquoise feathers. The body was a lovely green with some brown in it. The photo is so bad, along with my memory for visual details, that I'm not sure if it was the Turquoise-browed Motmot (Eumomota s. superciliosa, number 4 in the first photo) or the Blue-crowned Motmot (Momotus momota, number 5a and 5b) − hence the mumbling in the article title. Based on my bird guide, I'm leaning toward the Turquoise-browed Motmot because I had a distinct impression of lots of vivid turquoise. Daniel has some nice Motmot photos on Hondubirding which got me really confused because my bird book shows the Turquoise-browed Motmot has a turquoise tail and the Blue-crowned Motmot has a brown tail. Similar confusion resulted from looking at Flickr photos. In any case, these beautiful shots of the Turquoise-browed and Blue-crowned Motmots are worth looking at even though they make me so ashamed of my photo. After that last grouchy article, I thought you might like a laugh. I did. La Ceiba Gran Carnival, who cares? Update to my 2008 Carnival article, April 17, 2008: Okay! I give up. I guess the La Ceiba tourism powers-that-be think that enough people come to the Carnaval as it is and don't want anyone else to know about it. Reader Quitos informed me that the "official" carnaval website, linked in the above article, has lost their domain as of April 12. "Typical," he says. It was a pathetic website, not finished last year until May 20, although the 2-week carnival started on May 12, 2007. Some of the events were long over with before they were posted on the website. The site was only available in Spanish, even though articles in the newspaper report that English-speaking tourists spend more than 4 times the amount that Central American tourists do during their stays in Honduras. The schedules of events are printed in the newspaper, usually after they are over or if printed in advance, are wrong because they decide at the last minute to change them. Last year the parade was postponed by hours, leaving spectators and the participants sitting in the blazing hot sun waiting. Many people left before the parade was over because it was late, people were hot and tired and hungry. Three years ago we tried to go to an art show that was supposed to start at 9 a.m. When we got there, no one even knew what we were asking about. Finally we found someone who told us it wouldn't be until 1 p.m. Believe it or not, with our newfound Honduran patience, we waited, strolling around the pathetic fairgrounds looking at the pathetic things for sale - groceries(!) priced the same as the grocery stores, cheap clothes and shoes, a few cheap souvenirs, more from China and Nicaragua than from Honduras, since basically no one makes anything in Honduras. Drinking beer is the favorite passtime. We checked back at 1 p.m. and the show still wasn't ready. By 1:30, they had all the artwork out on display but for whatever reason, it was roped off and they STILL wouldn't let anyone in. I can't put in writing what I thought of the whole situation - and we were customers ready to BUY! We left and have never been back. It's just too frustrating to find out when and where these things occur and then they usually aren't really what they were promoted to be anyway. I'm sorry. I don't get it. I'll never get it. I read time and time again how the government thinks tourism is THE hope for the future of Honduras. It doesn't take a brain surgeon to figure out little things like websites will get the attention of people throughout the world. You don't have to have a PhD in tourism to figure out some of these basic things − like tourists need to know when the stupid thing is going to be held so they can make their plane and hotel reservations. Heck! It's not the money. They could do a blog for free! Or the Ministry of Tourism could host the information on their website. Even though the Carnaval is touted as the biggest event in Central America, it warrants only one general paragraph on the Ministry of Toursim site. Look at this Google search for "La Ceiba Carnaval" please. What does that tell you? It tells you that no one in charge of the carnival gives a damn about attracting tourists to it. 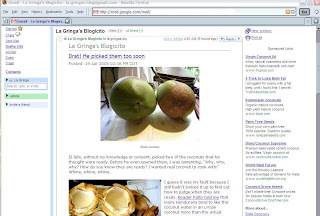 (In case you didn't look at the search, La Gringa's Blogicito is the first two entries! The next entry is from 2005.) I only write about carnaval trying to be helpful! If my blog can be number one in the searches, theirs can, too. If you want to know the truth, I don't even like the carnival - I've been pushed around by too many drunks and rude people on the street. I don't like going to the parade or the free musical events only to look around and see all the glum, frowny faces around me. Even the local beauty queens on the floats usually look like they are pissed off to be there. It looks like no one but the gringo tourists even have a good time. 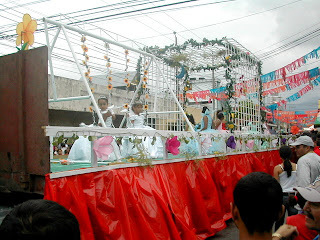 Do you know how the city of La Ceiba prepares for the Carnaval or the other big tourist event, Semana Santa? They paint lines on the streets. It's true. Every single year there are articles in the newspaper congratulating themselves about how they have prepared the town for the event by painting the white lines down the middle of the streets! I'm so mind-bloggled by this, I don't even know what to say. Have you ever vacationed anywhere in the world and were stunned by how neat and white the lines down the middle of the streets were? Is that what made you want to vacation there again and again? Is this the most asinine thing you have every heard of? The other Carnaval preparation is the placing of trash barrels on San Isidro, the main street. There is never enough and only the tourists use them anyway. I guess that is why they take them back up and hide them away the rest of the year so the locals can go back to throwing their trash and garbage in the streets. Whoever is in charge of tourism in La Ceiba is a raving lunatic. 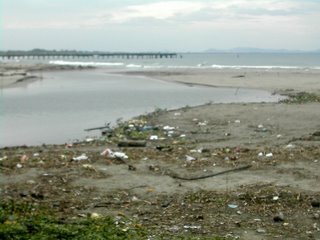 Other articles about promoting tourism frequently point to the "estero" as a beautiful tourist attraction. 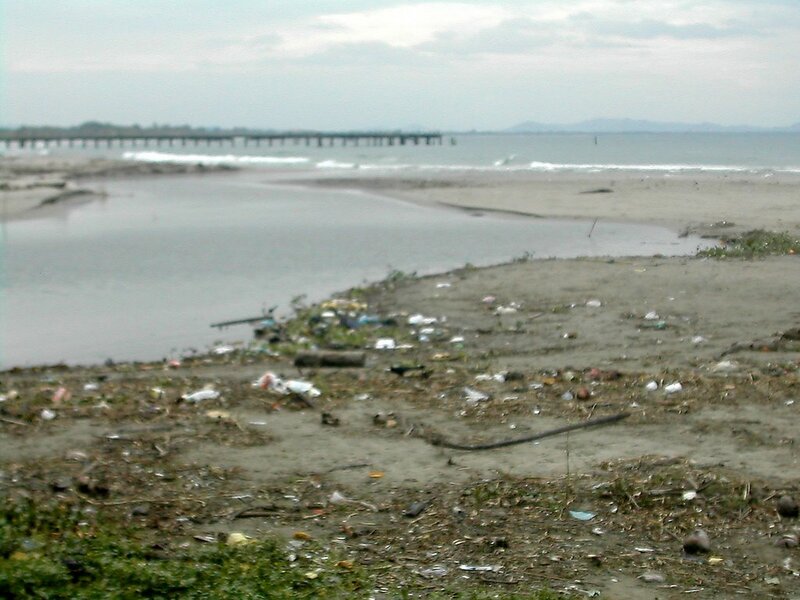 Do you know what the estero is? It is the damn sewer creek where all the feces floats out to sea. Again, I am not kidding you! Yeah, there are some large trees around it (trees being a rarity in most of downtown La Ceiba) and a couple of ridiculously uncomfortable concrete benches, but how much time can a tourist spend looking at the sewer creek and a couple of big trees? Even better, how much money can they spend doing it? Recently, the dock in La Ceiba finally collapsed. It was lamented as a great loss of a tourist spot. It was long before my time that the dock may have even been safe place to walk. I don't know how many decades ago that might have been. It was absolutely incredible with rotted wood and large holes, seriously, large enough for fat men to fall through. There were no boats, no fishing trips, no fishing gear rental, no souvenirs, no food stalls, no nothing, just an old rotted, dangerous dock with drug addicts and prostitutes living underneath it. What are tourists going to do? Walk carefully out to the end, take a photo, and walk back. What else is there? How is that a tourist attraction? It's not just me who complains! Every year the Ceibeño section of the newspaper rants about how unorganized the event was and blah, blah, blah. The hotel owners complain that they can't even tell potential guests when the event will be held because no one knows. Last year there was a scandal about the head of the La Ceiba tourism department writing $10,000 checks to herself and her assistant. I don't know what ever happened about that, but my guess is nothing. There are also articles about how tourism related employees need to be trained, how shameful it is that people rip off the tourists and are rude to them, etc. Talk about biting the hand that feeds you. Do you see anything in this article that would indicate that Honduras will ever be able to pull themselves out of third world status? Is there any sign of organization, actual thought put into what tourists want, or striving to do improve? Did you know that your computer can be violated just by visiting certain harmful websites? The Blogicito and some other blogs that I've read, have been getting some comments which say "Hey. Look at this link." or "See Please Here" or something similar. Upon clicking the link, I get a big warning page from Google telling me that this is a malicious site which can install harmful programs on my computer! I've been deleting those comments from my blog as fast as they come, but some other sites don't. First, I wanted to suggest that if you want to be protected from those type of links, you might consider installing the Google toolbar, which is available for Internet Explorer or Firefox, and possibly other browsers, too. I feel confident that Google probably has the largest data base of such malicious sites so might in the best position to protect my computer and my private information. This feature is built into the latest Firefox browser, which is said to be much safer than Internet Explorer. Another browser add-on that I use is McAfee SiteAdvisor. It shows a little green, yellow, or red symbol at the bottom of the browser indicating whether the site is safe, a possible spammer, or a dangerous site. It also shows those symbols on the links on any Google searches. Yesterday, for the first time, it popped up and prevented me from visiting a malicious site. A second benefit of the Google toolbar for those of you interested in Honduras or other Latin American countries is that it has a translate button by which you can instantly translate a web page or newspaper article to English. No opening a new website or copying and pasting text or links to another page to translate it. The feature is really quite handy and it seems to me that Google's translation ability has improved significantly in the past year or so. I try to mostly read in Spanish because it's good practice but I've been using it whenever I struggle over the meaning of a certain sentence or word. I think that the toolbar can also be used for those of you whose first language is other than English. For those of you who receive the daily email updates of the Blogicito, I wanted to mention that GMail has been putting them in the Spam Folder! This makes no sense whatsoever in that Google recently bought Feedburner, the company who sends out the daily emails, so Gmail should know that it isn't spam − the emails are sent only to people who have signed up for them and verified the request from their own email address. If you've missed receiving the daily email updates, check your spam filter and mark it as "Not Spam." I've been marking it every day, and am really quite annoyed that Gmail continues to place it in the spam file. Oh, BTW, I originally signed up for my own daily update just to make sure that Feedburner doesn't spam subscribers! And they don't. I read an interesting article about this on AskLeo. He explained that this can come about when instead of unsubscribing from a newsletter or other email service previously subscribed to, people mark them as spam in their email program. As a result, the email service, whether it is Google, Yahoo, or some other, starts treating all mail from that sender as spam, even for those who subscribed and want to receive it. Well, okay, it isn't an every day occurrence. I still don't understand how they get inside the house. Why would people who seem to dislike and disdain Hispanic immigrants and the Hispanic culture so much want to immigrate to a Hispanic country? It's hard to figure. From what little I read of US news, there seems to be a strong anti-immigrant, anti-Hispanic trend in the U.S. to the point of hatred in some cases. I spend more of my time learning about Honduras, since that is where I live, but my Google News Alerts about Honduras often include articles about immigration. There seems to be such anger among U.S. Americans. I can understand how the war, crime and drugs, and the economy could sour viewpoints, but the anger and hatred are a little mind boggling and spill over on legal immigrants as well. Oddly, some of those who yell the loudest about 'illegals' move to another country as more and more U.S. citizens are doing. Although big brother surprisingly doesn't keep any reliable statistics, the current broad estimate is that between 4 and 10 million US Americans now live in other countries. Even stranger yet is when some of those angry people move and then violate the immigration and tax laws of their new country. How can they not see that they are living parallel lives with the US immigrants? For all of its flaws, the United States of America is still the best country in the world to live in. It's too bad that so many who have grown up with that privilege − thanks to their own immigrant ancestors − don't appreciate it but still want to deny that privilege to others. 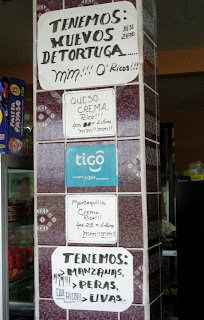 Those who have those feelings are going to be miserable living anywhere in Latin America. There is no doubt about that! Though I think not true of most, some think they can live in their little gringo enclaves with their gringo friends and be insulated from the rest of the country and its people while still taking advantage of the lower cost of living. I can only guess that they believe their 'superiority' will be recognized and that their dollars will be so welcome that their neighbors and people with whom they do business will overlook their racism. Sorry! It doesn't work that way. That's about as silly as a Ku Klux Clan member moving to Africa because the cost of living is less. To many Hispanics, money is less important than pride and tradition. Businessmen will gladly turn them AND their dollars away if they behave like an a$$hole. Their country may be superior, but guess what, they aren't! Immigration may or may not be the big problem of which people complain in the US. But here's my idea: Instead of the US spending billions of dollars in aid which ends up funding and promoting corruption in other countries, use that money to build schools and hospitals, and hire more police to fix the problems in the U.S. They just don't make Kleenex like they used to, do they? Or do we just get inferior Central American quality Kleenex here? Triple hoja, my ---, well, you'll just have to guess what I was going type in there. 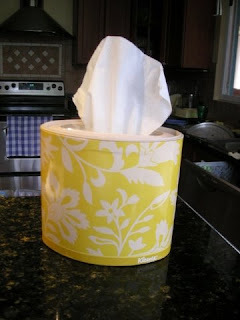 (Triple hoja = triple sheet) I'm getting one good blow per tissue and sometimes blow right through it. I've always been a Puffs person. Puffs are much softer and stronger, too. Puffs are the rare find here in La Ceiba however. The grocery stores never carry them. For the past six months or so, the only import store that has them once in a blue moon has only been carrying the lotion impregnated Puffs. I don't like those greasy tissues at all. Oops, I forgot to even mention that El Jefe has THE cold, too, and kindly shared it with me. We've emptied out about four boxes of tissues so far. The only redeeming factor of the Kleenex is this new box design (photo above). So cool! I can't tell you how much pleasure it gives me, even though each box only holds about 25 tissues and costs twice as much. I plan to refill it with Puffs if I can ever find some again. Does that sound cheap? I've been getting questions by email about the dates of the La Ceiba Carnaval so I thought I would mention it. The official dates of the two week event are May 10 through May 24th. These dates are according to a recent article in La Prensa. However, one year the people in charge changed the date just a few weeks before the event. There were so many complaints that I just can't imagine that they would ever do such a stupid thing again, but I'd hate for anyone to book reservations on the wrong week because they read it here! 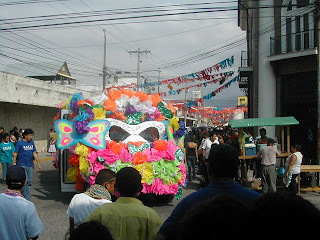 The full name of the carnaval is la Gran Feria Isidra y Carnaval de la Amistad (amistad meaning friendship in Spanish). Parade floats and entertainers are scheduled to come from New Orleans, the Cayman Islands, and many other places. 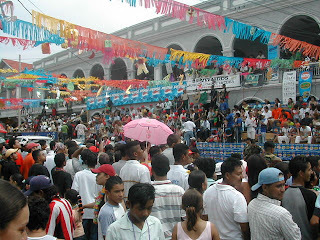 It is said to be the largest carnaval in Central America. 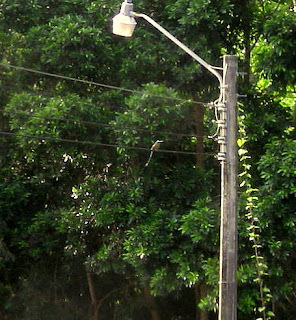 Generally La Ceiba hosts about 200,000 tourists. Several streets are blocked off days before the parade and big bandstands are set up. Local and foreign bands perform for free on Friday night and Saturday evening after the parade is over. A sort of county fair and rodeo is held for the entire two weeks out near the airport. Activities during the second week include neighborhood carnavalitos (little carnivals) and the big parade and night time street party will be on Saturday, May 24th. This is one of the two times of year that all the nicer hotels fill up so make your reservations soon. 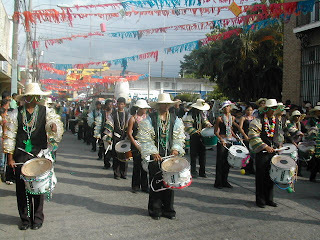 The official Carnaval website (link removed as site no longer exists) by the municipal Tourist Unit has all the information you might want to know − about the 2007 carnival! So typical. We are only five weeks away. Why do now what you can wait until the day before to do? However, if you plan to come, check this site a day or so before and, hopefully, they will have the schedule of events posted. 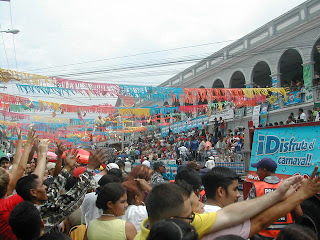 Some Blogicito carnival related articles from 2007 are here. Update, April 17, 2008: Okay! I give up. I guess the powers that be think that enough people come to the Carnival as it is and don't want anyone else to know about it. Reader Quitos informed me that the "official" carnaval website linked above has lost their domain as of April 12. I have a bad cold, with a cough that won't quit, a sore throat, fever, and a nose that just won't quit running. Sometimes I just stuff a kleenex in my nose (when El Jefe is not around) and let it hang there. I cough so hard that my ears hurt − I think I'm blowing my brains out my ears. My sneezes are so loud that I fully expect my neighbors from a block away to come to see what the explosion is. Anyway, in my feverish delirium, it didn't occur to me that anyone would not immediately see the humor in my last silly post. 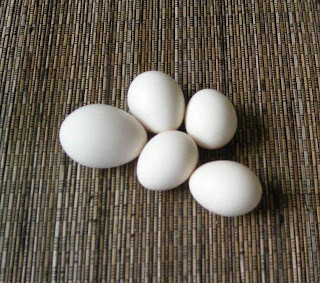 However, a friend from another part of Honduras read my egg article before the crystal egg article and was afraid that I had received some sort of threat. Yes, crazy things do happen in Honduras and there are those who practice witchcraft. I am truly sorry if anyone was worried on my behalf! It was just my sick sense of humor (no pun intended) and I hope that no one else was worried about me.